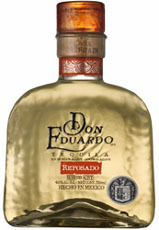 Reposado is fast becoming the most popular of the three NOM standard types of 100% blue agave tequilas (Blanco, Reposado, or Añejo). Reposado (also referred to as "rested" and "aged") is Blanco tequila that has been stored in wood barrels for between two and eleven months. 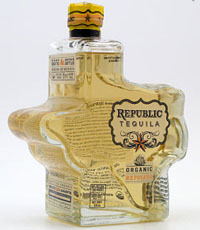 The aging gives Reposado its pale color, a pleasing bouquet, and a mellowed taste that is gentler to the palate— perfect for sipping as well as for cocktails. 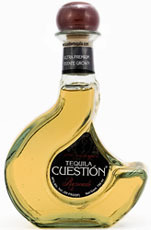 At Beacon in NYC, 30 journalists, retailers and aficionados tasted 22 100% blue agave reposado tequilas. Strict tasting rules were implemented. The products were served "blindly", without distractions of brand names. The order of service was established beforehand by lottery. 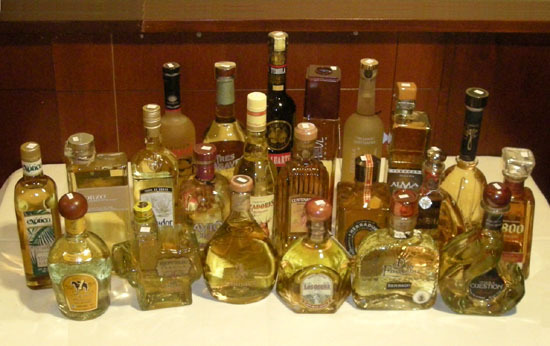 Each of the tequilas were poured into fresh glasses from new sealed bottles, and immediately served at slightly above room temperature. The judges wrote down their impressions of each product on score sheets. Ice water on the side, bread and crackers were available to cleanse the palate. Food was served during a break. The tasting notes are summaries of the judges’ opinions. Prices quoted are for 750ml sizes. Prices may vary by state and does not include sales tax. Fruity light citrus nose, spicy, nutty, fruity, very light and mellow, smooth, slight tropical finish, vanilla, hint of pepper, floral, peppery, buttery, creamy, sweet, soft, grapefruit, hint of butter, woody, smoky, herbasceous, dusty, earthy, reminiscent of blanco, fresh, medium body, short finish. Vegetative, dried fruit & caramel nose, light, nutty, fruity, floral, herbal, earthy, woody, oak, cedar, vegetative, herbaceous, agave, tobacco, smoky, pepper, cucumber, spice, sweet, vanilla, caramel, strawberry, butter, peach, pineapple, buttery lemon, phenolic smoke, dusty, resinous, medium bodied, nice delicate finish. Medium vegetal nose, agave, hints of berry, butter, caramel, fruity, hazelnut, anise, peppery, spicy, smoky, soft, smooth, easy finish. Light caramel vanilla nose, nutty, caramel, honey, peach, vanilla, butter, citrus, fruity, tropical, oak, bourbon barrel, earthy, pepper, dried tobacco, floral notes, cotton candy sweet, soft, very smooth, front end citrus, medium body, medium finish, nice. Medium vegetative nose, buttery, caramel, butterscotch, maple, vanilla, chocolate, hint of coffee, black cherry, light sweet pepper then spicy, cardamom, woody, smoky, almost peaty, herbaceous, salty, smooth, balanced, clean medium finish. Inviting tropical fruit nose, honey, raisin, clover, caramel, agave, orange, banana, sweet, spicy, comprehensive pepper, herbaceous, woody, bit of smoke, luscious mouth-feel, smooth, soft long finish. Agave citrus & floral nose, woody, earth, salty, vegetal, raspberry, clover, caramel, vanilla, tropical fruit, melon, banana, peppery, hot pepper, intense, mild, very smooth, medium body, long subtle finish. Medium citrus vanilla nose, spicy, fruity, grassy, lemon zest, floral notes, herbaceous, nutty, sweet, smoky, woody, cedar, hint of perfume, medium body, smooth start, long vanilla finish. Beautiful light floral nose, tea, almond, butterscotch, caramel, creamy layers, lemon, anise, licorice, green olives, sandalwood, eucalyptus, hint of banana, agave, pepper, buttery, spicy, floral, sweet, salty, soft, woody, intense, complex, flavorful, smooth, long finish. Medium vegetative and honey caramel nose, earthy, smooth, well balanced smoke, grappa, lots of pepper, spearmint, vanilla tones, honey, figs, pineapple, melon, peppery spice, cinnamon, slightly nutty, bit fruity, citrus, light-medium body, long finish, very good. Light smoky nose, fruity, apple, caramel, vanilla, grass, grains, wheat, peppery spice, jalapeno/bell pepper, leather, woody, earthy, zesty, balanced, smooth, very elegant, long finish. Light floral & citrus nose, resinous, honey, apple, walnut, floral, tropical fruit, woody, zesty, smoky, vague caramel into pepper, caramel, dark burnt chocolate, lavender, earthy, leather, woody pine, smooth, light , light smoke, medium body, long, sweet finish. Light floral vegetal nose, caramel, peach, pineapple, lemon citrus, semi-sweet, vanilla, peppery, green olives, floral, grassy, harsh, vibrant, smooth, complex, elegant, long finish. Light floral nose, vanilla, butter, smooth, sweet, fruit, caramel, honey, strawberry jam, bit of peach, lemon, rose petals, citrus notes, sherry, menthol, grassy, woody, oak, earthy, nutty, light, long finish. Light vegetal nose, fruity, pineapple, cherry, sweet, caramel, butterscotch, mellow, floral, citrus notes, oak, woody, mild spice, hint of pepper, hint of lavender, light body, well balanced, soft, smooth, light-medium finish. Light vegetative nose, flowery, berry, salty, sweet, molasses, vanilla, agave, roast pepper, vegetative, spicy heat, peaty, smoky, sharp, very smooth, even medium finish. Floral & vegetal nose, earthy, flowery, sweet, vanilla, woody, oak, fruit, orange, candied fruit, citrus, hint of spice, vegetative, spearmint, some caramel, soft, long clean finish. Medium vegetative nose, fruity body, aromatic, floral, pepper notes, dried fruit, rose, almond, woody notes, sweet, caramel, leather, smooth, nuanced, medium finish. 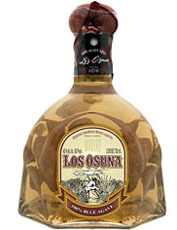 Light fruity nose, earthy, agave, spicy, buttery, raisins, sweet, caramel, fresh grass, crisp lemon, nutty, barley, wheat, hint of cedar, clove, fishy, smoky, oily, bold, hot, sharp, well-balanced, sweet medium finish. Medium vegetal nose, fruity, woody, smoke, salty, sweet, pepper, green vegetables, geranium, licorice, tobacco, earthy, grassy, smoky, oily, fishy, harsh, smooth medium finish. Light smoky caramel nose, earthy, strong, syrupy, grapefruit, guava, bell pepper, ginger, fruity, vanilla, butterscotch, smoky, spicy, vegetative, chemical, harsh, medium body, long finish. Light woody nose, butterscotch, fruity, apple, melon, almond, caramel, flowery, floral accents, earthy, nutty, spicy, pepper, smooth, light, well-balanced, enjoyable, elegant, peppery long even finish.